Quality Control Systems and Consistent Quality Maintenance are accorded topmost priorities in the company at every stage of procurement, production, testing and supply of products. 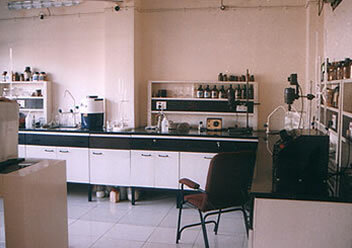 The company strives best to ensure that the total quality concept is implemented at all the levels. The ultimate aim of the organisation shall be to get placed in India as country´´s top dyes intermediates supplier to the leading Indian Industries. The chemical composition and microstructure of each lot of incoming material is analyzed to make certain it complies to industry specifications. Before, during, and after production, samples from each order are tested for various properties. The process of Agitator Knutch Filtration is carried out to provide you the best quality product. Today, our quality is as high as it has ever been and we are aiming still higher. With quality such an important criterion for most of our applications, we utilize the most modern QC procedures and instruments to meet your specifications. Our network, close interaction with dedicated clientele and our commitment to technology and innovation enable us to provide our customers with a level of quality and service well beyond traditional expectations.